PLEASANTON, Calif., Dec. 3, 2018 /PRNewswire/ -- Xip Diagnostics Inc., a developer of analytical medical devices that advance human and animal health at the point of need, today announced Ms. Melanie Winowiecki joined its board of directors. Ms. Winowiecki serves as the executive director of research strategy and portfolio management at Zoetis, the leading global animal health company. "Melanie brings an outstanding record of medical and business expertise that will be invaluable as we work together to develop applications of our technology for human and veterinary healthcare markets," said Gary Stroy, chairman and CEO of Xip Diagnostics Inc. "Her global perspective complements our vision of a universal analytical platform that makes clinical immunochemistry available — anywhere, any time — with uncom­promised speed and performance." Ms. Winowiecki optimizes the execution of R&D portfolios at Zoetis through project management, coordination and external sourcing. She provides business insights and enables value-driven decisions through portfolio analytics and resource management. 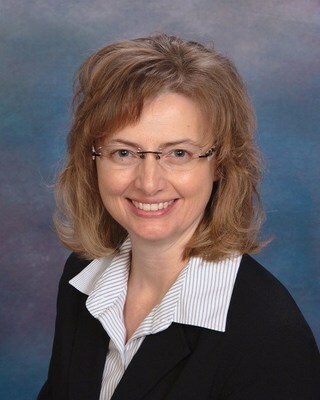 Over the past 18 years, she has worked at Warner Lambert, Pfizer, and most recently at Zoetis, designing and implementing tools, systems and processes that advance project progression, strategic portfolio analysis and overall alignment of research strategy to business objectives within both human and animal health R&D. Previously, she spent 11 years in the food and pharmaceutical industries as an analytical chemist. She holds a bachelor's degree in zoology from Olivet Nazarene University and an MBA from the University of Michigan. Zoetis is the leading animal health company, dedicated to supporting its customers and their businesses. Building on more than 60 years of experience in animal health, Zoetis discovers, develops, manufactures and markets veterinary vaccines, medicines and diagnostics, which are complemented by genetic tests, biodevices and a range of services. Zoetis serves veterinarians, livestock producers and people who raise and care for farm and companion animals with sales of its products in more than 100 countries. In 2017, the company generated annual revenue of $5.3 billion with approximately 9,000 employees. For more information, visit www.zoetis.com.